Clutch Replacement Wirral offer a high quality service on all Clutch Replacements and Clutch Repairs, you will also find our prices affordable and to add to our customer service we try to make life easier for you by offering a pick up and collection service for all Clutch Replacement or any other vehicle repairs, we can pick up and collect from your home or work place, whichever is easier for you. We also have a fast parts ordering system in our garage, so if a part is not in stock we can have it with us in no time, we also don’t compromise on any parts used, only use genuine parts on all Clutch Repairs and replacement parts. We have a great and friendly team of highly skilled mechanics and they will offer you a professional service from start to finish. Our customer service is paramount as we want you to return to us in the future for all your car repairs. 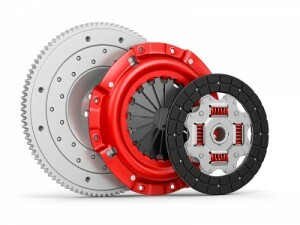 Clutch Replacement Wirral can replace or repair clutches on all makes and models. *We also offer a free collection and delivery from any towns covered below. We offer a 12 months parts & labour guarantee on all Clutch Replacements. Clutches and Brakes are the amongst the most commonly replaced car parts, but the basic principles of the Clutch operations have stayed the same for many years, but only 2 things have dramatically changed. Which are the Dual Mass Flywheels and the Concentric Slave Cylinders. It is important to get advice before having a new clutch replacement as there could be other reasons which could be causing this fault such as a slipping fan belt or the engine revving or even just a minor adjustment, so before you get a Clutch Replacement ask for a Free Clutch Check first. Clutch Drag: This is where the clutch plate is not at a correct adjustment or the centre plate is sticking on the splines and the difficulties you would have with this problem is obtaining gears particularly first and reverse gears. Clutch Judder: This is caused by a warped friction plate or the gearbox or engine mounts could be broken, with this you get a shudder and a vibration when the vehicle starts to move. Clutch Slip: This is caused by the oil on the friction plate or worn friction plate, although the symptoms of the clutch slip would be partial or you would have total loss of drive; also your vehicle speed would be lower than normal compared with the engine speed. If you require a Clutch Replacement or free clutch check or quote please complete our 10 minute response form or call fill out the form or call: Quote Line: 0151 327 3458 . We support a wide range of manufacturers and models including Audi, BMW, Ford, Renault, Porsche, Alfa Romeo, Cadillac, Chevrolet, Citroen, Daewoo, Daihatsu, Daimler, Dodge, Fiat, Honda, Hyundai, Isuzu, Jaguar, Jeep, Kia, Lancia, Land Rover, LDV, Lexus, Lotus, Mazda, Mercedes, MG, Mini, Mitsubishi, Nissan, Peugeot, Proton, Rover, Saab, Seat, Skoda, Smart, Subaru, Suzuki, Toyota, Vauxhall, Volkswagen, Volvo, Abarth.